We placed the books, tied neatly with a white ribbon and holding a red-airplane ornament, on the table. It sat there for three days. Neither of us could open them. Day four came, I untied the ribbon, and quickly walked away. I knew that these books would open a flood of emotions that I may or may not be ready for, so there they sat... waiting. Day seven I sat down, took Book 1 in my lap and opened the cover. I turned the pages, looking at each one, but quickly so as to take in as much as possible without completely losing control. I made it through both books. There were tears - especially when seeing what the children had written. There are pictures that I've never seen of Max with his friends. There are incredible notes from people I may never meet. There is so much love on each and every page. Thank you for the gift. 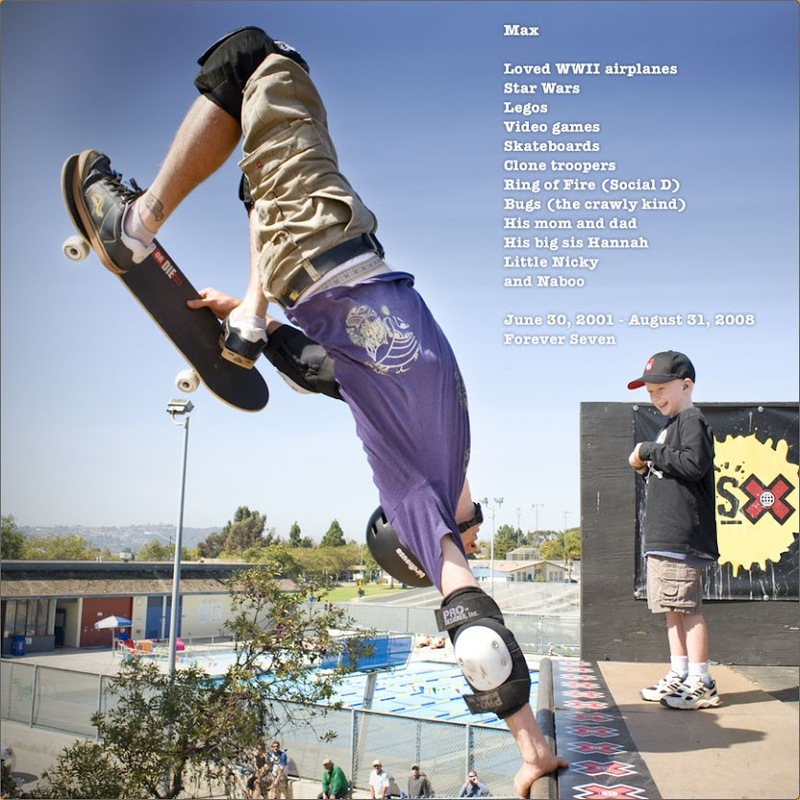 Thank you for your memories of our son, Max. They help fill my heart up a little bit. And, thank you, Shannon, for putting in so much time on this project. Half of the beauty of the books is the love that you so obviously put into them, making each page amazing. ...no, I haven't been able to sit and look at them again... yet. Just peeking over shoulders. Melis you are amazingly brave. We love you guys! When you are ready I'd love to look through the celebration memory books. What a wonderful gift.